The voice, heard by telephone, of one of the Five, as they are known in the campaign for their release, sounded amplified at an assembly hall that was in silence and shocked at the unexpected communication, brought to fruition by his daughter Aili, attending the meeting. "You are also the Five, as we are," said Ramon to his listeners, and expressed gratitude to everyone for the work the international movement of solidarity is carrying out for his release, and the need to stand together to continue fighting for Cuba. Of the five Cuban antiterrorist fighters condemned in the United States since 1998 to prevent terrorist actions organized on American soil against their homeland, only Rene Gonzalez has been capable of returning to Cuba, after 13 years in prison. Ramon Labañino, Fernando Gonzalez, Gerardo Hernandez, and Antonio Guerrero are still serving harsh sentences in prison. Participants in the meeting unveiled a bust to Jose Marti and laid a wreath. The monument was made by Cuban artist Felix Madrigal Echemendia, and will be located at an Athenian square where other Latin American heroes' sculptures are placed. Havana, Oct 20 (Prensa Latina) Cubans remember today the 145th anniversary of the National Anthem, an event marking the National Culture Day. That October 20, 1869, hardly 10 days after Carlos Manuel de Cespedes rose up in arms against the Spanish colony, the anthem was sung for the first time in the city of Bayamo. According to the popular legend, Pedro Figueredo wrote the anthem sitting on his horse, and some moments later, all the people chanted "La Bayamesa," title of the song. A shorter but forceful version of that anthem of combat, has lasted until today. Hanoi, Oct 21 (Prensa Latina) Vietnamese graduates of study programs in Cuba are forever grateful for the education they were granted, as expressed during a celebration for the 50th anniversary of the graduation of the second group to travel from Vietnam to Cuba. Of the 35 people who studied in Cuba and returned to Vietnam, only 19 remain alive, gray-haired but with fresh memories of a unforgettable stay that the spoke about at length. Vietnam's Union of Friendship Organizations held the meeting, organized by Nguyen Duy Cuong (Jose for Cubans), vice president of the Cuban branch and a former scholarship student himself. Former diplomat Nguyen Anh, who led the group in Cuba, spoke in detail about what the students did when returned to Vietnam and the contribution they were able to make to Vietnam's social and economic development. Until their retirement, 17 of the former students worked as members of the Central Committee of the Party, as vice ministers, National Assembly deputy, department directors, president of a provincial court and rector of a university. Others led the VNA news agency, were involved in associations for attorneys and architects, Vietnam's Sugar Corporation and its Research Institute, cattle ranching and construction services, and were decorated by the State. Rather than speaking about professional experiences, those who took part in the group and some who graduated later spoke about vital experiences like serving as militia guards at Havana seafront and donating blood. They referred with great respect to Commander in Chief Fidel Castro, to the maternal attention provided by Melba Hernandez on behalf of the Solidarity Committee with Vietnam, along with many Cuban mothers, and to their dedicated professors. Nguyen Dinh Binh, who would be later a member of Vietnam's Central Committee and Foreign Vice Minister, said that as a student he became an interpreter at Vietnam's embassy to Havana, and he accompanied Fidel when he paid his historic visit to Vietnam in 1973. At the ceremony, led by Vu Xuan Hong, president of the Friendship Organization, the Cuban embassy counselor, Carlos Collazo, highlighted that the seed planted 50 years ago had been the fruitful source of a greater exchange and a strengthening of relations between both countries. Athens, Oct 20 (Prensa Latina) Aili Labañino, daughter of one of the Cuban antiterrorist fighters unjustly condemned in the United States and invited to the 8th Regional Meeting of Cuban Residents in Europe, held here, talked with Prensa Latina after the event ended. Her participation in this event was not only used to recognize and encourage the Cuban emigres to continue their struggle for the Five, as they are known worldwide, but to bring the voice of her father, Ramon Labañino, who addressed the participants over the telephone from his prison in Kentucky, United States. How Ramon did to an excited audience, Aili also thanked the international movement of solidarity for the work as "it has filled us an energy that as relatives and individuals we need." Labañino's eldest daughter said that to have that hope, transmitted by "many people in the world and many Cubans outside Cuba, as foreigners doing for Cuba," which as her dad expressed, "make us think that there is not long to go as the beginning so the four antiterrorist fighters will be released." As a relative of one of the Five, Aili explained that along with her everyday life, such as any other Cuban, she is " responsibility for representing them wherever we go, and of course the responsibility for being best Cubans, better people and try to be like them from the human and revolutionary viewpoint." Aili's father, along with Gerardo Hernandez, Fernando Gonzalez, Antonio Guerrero, and Rene Gonzalez (The Five), were arrested in 1998, when monitoring to alert their country from terrorist actions planned by anti-Cuban groups in south Florida. After remaining in jail until October 2011 and completed a half of three years of supervised release imposed on American soil, Rene is now free in Cuba. HAVANA, Cuba, Oct 21(acn) Cuba will host for the first time the Latin American Congress of Pharmacology and Therapeutics Latinfarma 2013, which opens this Monday in the capital with experts from the region and visitors from other countries. HAVANA, Cuba, Oct 18 (acn).—Cuba is forced to seek the import products it needs at markets much further than normal and at high prices because of the US blockade of the Island, which leads to excessive expenditures that could be used to meet other needs of Cuban people. Funds that Cuba has to pay in excess because of the US blockade conspires against the satisfaction of needs of the Cuban people that go unresolved by the effects of Washington’s hostile policy. Cuban Foreign trade has reported losses of nearly four billion dollars as a result of hostile actions by the United States aimed at curtailing normal economic ties between Cuba and its suppliers. Even a Cuban national that holds an account in dollars in a non-US bank is threatened by US. Financial persecution, the Cuban official said and added that one best example of the US blockade of Cuba is the West German pharmaceutical group Bayer, a company with which Cuba did business before the Cuban Revolution began. Bayer has moved its headquarters to the United States and automatically has had to stop its so far smooth business relationship with Cuba because under the provisions of the US blockade of the Island it can no longer do it. Thus, Cuba has been forced by the US blockade to stop doing business with Bayer, just because the German drug giant has moved to the United States. Contracts that had been in effect with the pharmaceutical company have been canceled on US orders; so, Cuba is now forced to seek other providers to replace Bayer's drugs, which will no longer be available to Cuban patients, because of the US. Blockade. CIEGO DE AVILA, Cuba, Oct 16 (acn) More than three million vacationers from all latitudes enjoyed Jardines del Rey tourist destination since its inception 20 years ago. The resort, north of Ciego de Avila province, formed by Coco and Guillermo Keys, reaches its twentieth anniversary on November 12th with the reaffirmation of its positioning in the international market and a sustained growth in the number of visitors. Sources of the delegation of the Ministry of Tourism in the territory pointed out that Canada, the UK and Argentina are among the main tourist emitting countries to this destination, in addition to other European and Latin American Southern Cone nations. Luis Baez, senior specialist of the sector in the province, said to mark the anniversary they are renewing their hotels of more than 5 500 rooms, especially the Colonial Cayo Coco hotel, the first that was inaugurated there. The project also includes works in the modernization of the Iberostar Daiquiri Hotel, and essential changes in Villa Cojimar, to raise its category from three to four stars. Baez explained they are also undertaking actions to improve the quality standard, such as repairing walkways, increasing non-hotel services with new excursions, a shopping center and a nightclub associated with cultural options and the improvement of food offers in traditional Cuban cuisine. Jardines del Rey will launch the winter season with initiatives that place it as an event destination, for example the execution of the 4th International Fishing Tournament, until October 19, and a meeting with tour operators. This enclave opened to international tourism in 1993 with the inauguration, by the Commander in Chief Fidel Castro, of the today Colonial Cayo Coco hotel, and its master plan includes the operation of up to 32 000 rooms, at long term. HAVANA, Cuba, Oct 22 (acn) Army General Raul Castro Ruz, President of the Councils of State and Ministers, led Saturday the Cabinet meeting that focused on issues vital to the country's economy. As Granma newspaper reported today among the measures approved was the improvement of the Ministry of Agriculture, both in its business area as in the budgeted one. Leonardo Andollo, deputy chief of the Permanent Commission for Implementation and Development of the Guidelines, this process lasted over two years and began with a thorough diagnosis that revealed the complexity of the problems affecting production and economic results of the sector. Both the diagnosis and subsequent studies involved directors and officers of the Agriculture Ministry, agricultural, forestry and tobacco labor unions, as well as representatives of various agencies of the Central Government. The Council of Ministers also discussed the issue of monetary and exchange rate unification, aspect that Granma published an official note with more details. HAVANA, Cuba, Oct 22 (acn) Granma newspaper today published an official note on the monetary unification and exchange process that will take place in Cuba, which we reproduce in full below. The Guideline No. 55 of the Economic and Social Policy of the Party and the Revolution, approved by the Sixth Congress of the PCC states: "We will move toward monetary unification, taking into account labor productivity and effectiveness of distributive and redistributive mechanisms. Due to its complexity, this process will require careful preparation and execution, both in the objective and subjective aspects". In compliance with this Guideline, the Council of Ministers agreed to enforce the implementation of a schedule of measures that will lead to monetary and exchange rate unification. As reported , monetary and exchange rate unification is not a measure that resolves on its own all the current economic problems, but its implementation is essential to ensure the restoration of the value of the Cuban peso and its functions as money, as a unit of account, means of payment and store of value . This, coupled with the implementation of other policies aimed at updating the economic model, will facilitate the management of the economic environment and consequently the correct measurement of its results. Cuba will start the process of monetary unification for legal persons and natural persons. The main changes in this first stage will occur in the field of legal persons, in order to create the conditions for increased efficiency, better measurement of economic events and encouraging the sectors that produce goods and services for export and import substitution. Cuba will start by a period of preparation of conditions that allow the development of proposed legal rules, the design of the changes in the computer systems responsible for the accounting records and adjustments in accounting standards. It will be an essential step for training also people who should undertake the execution of the various transformations. Cuban President Raul Castro Ruz in his closing speech at the first regular session of the Eighth Legislature of the National Assembly of People's Power , last July , spoke about the process of implementation of the Guidelines as follows: " I wish to reiterate on this front of strategic significance we have continue moving forward and we can already observe the first encouraging results , although it is true that there is a long and complicated way to update our economic and social model , ensuring the majority of the population support this process , which excludes the use of shock therapies and leaving millions of people homelessness as the adjustment policies implemented in recent years in several countries in the rich Europe have done" . As has been the practice followed during the years of the Cuban Revolution, no action taken in the monetary field is to harm those who legitimately earn their income in CUC and CUP. In this sense , the process of monetary unification that respects the principles of trust earned by people who have kept their savings in banks Cuban in CUC, CUP and other international currencies, remains intact and continue to apply the current policy of subsidies at retail prices and people where needed, while the country's economic conditions require it. The CUC and the CUP are Cuban currencies issued by the Central Bank of Cuba and maintain its full support . From now on they will continue extending the possibility of accepting in stores that sell in CUC, payments made in CUP using debit cards. Experimentally at selected locations people may make cash payments in CUP for the equivalent calculated at the CADECAs exchange rate of 25 CUP by 1 CUC. According to the progress of the implementation of the schedule, they will be giving details on the measures that apply at all times, while the entities specialists should be involved in its implementation, along the population. HAVANA, Cuba, Oct 21 (acn) Cuba endorsed today at the General Assembly of the United Nations Organization (UN) the claim of the countries of the Caribbean Community (Caricom) to their former metropolis for compensation for damage of the trans-Atlantic slave trade. Rodolfo Reyes, Cuban permanent representative to the UN, called the demand fair, which includes recognition by the powers that benefited from slavery such as France, Holland and the United Kingdom, of the atrocities resulting from this scourge, Prensa Latina news agency reported. The ambassador recalled that the industrialized countries and their consumer societies are responsible for the accelerated environmental destruction, and have been the main beneficiaries of the conquest and colonization, slavery and the extermination of the peoples of the South. They have also profited from the unjust economic order imposed on humanity (...). That rich and wasteful world has technical and financial resources to repay its debt to humanity, Reyes said in the Assembly that today tracks the theme of the celebration of the bicentenary of the abolition of slave trade. Reyes added that his country claims the special and differential treatment required by the underdeveloped nations, especially in Africa, in their international economic relations. Cuba rejects shameful selfishness and opulence (of a few) that serve as guidelines to ongoing globalization, he said. Reyes announced the support and sponsorship of the island to the draft resolution presented annually by Caricom members and the African Group on the subject, as well as other related initiatives in the UN. It's the least that the international community can do to repair the crimes against humanity committed in the trans-Atlantic African slave trade, Reyes said and added that Cubans are proud of their African roots. The concert took place at the Galileo Galilei Center, where the artists joined their voices in demand of the release of Gerardo Hernández, Antonio Guerrero, Fernando González and Ramón Labañino , four Cuban anti-terrorists imprisoned in the US since 1998. 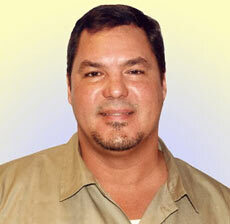 The imprisonment, which occurred in the US city of Miami, also included Rene Gonzalez, who served a 13-year prison sentence and achieved the modification of his probation term in exchange for the renouncement of his US citizenship and returned to the island. In his remarks at the concert, the ambassador said that he was deeply honored to have attended his first public activity in Spain being that action for the five. The concert, he said deserved the appreciation of Cuba and the Cuban Five, as the Cuban anti-terrorist fighters are internationally known. There is no more important compromise with justice than fighting for the freedom of the five Cuban heros said the Cuban ambassador. HAVANA, Cuba, Oct 9 (acn)Nicaraguan President Daniel Ortega highlighted the example and historic leadership of the Cuban Revolution as he met on Wednesday with the president of the Cuban Friendship Insitute Kenia Serrano, who is visiting that sister Central American nation. During his dialog with Serrano, who is also deputy to the Cuban Parliament, Ortega expressed his confidence that sooner than later the four Cuban anti-terrorist fighters still held in US prisons, will be released. Kenia Serrano updated the Nicaraguan president on the case of Rene Gonzalez, Gerardo Hernandez, Ramon Labanino, Fernando Gonzalez and Antonio Guerrero, internationally known as the Cuban Five, who were arrested in 1998 after they monitored Florida-based terrorist organizations. Although Rene Gonzalez managed to return to Cuba after serving a three-year sentence, justice will not be fully made till all of them return home, said Serrano. The Nicaraguan head of state was particularly interested in the situation of each of the Five, and he praised the unconditional support given by Cuba to the Nicaraguan people, which he described as a sample of the example given by the Cuban Revolution to Latin America. HAVANA, Cuba, Oct 14 (acn)US historian and analyst James Cockroft said that it is shameful for the US legal system the fact that four of five Cuban antiterrorist fighters are still being held in prisons of that country, 15 years after their arrest in 1998, in Miami. The Cuban anti-terrorist will not be release through any legal process because they are political prisoners, therefore only US public opinion and international solidarity will achieve their return home, said the analyst. Cockroft, who is also said that US President Barack Obama can make use of his constitutional powers and based on humanitarian reasons he can free the Cubans on no conditions at all. The analyst, who has written 48 works on Latin American and US issues, explained that there is a huge movement of solidarity with the Cuban anti-terrorists around the world, which is spreading the truth of the case. For Cockroft, who resides in Montreal Canada, the ineternational movement must stressed the fact that the Cuban heroes must receive the support of all social movements of the world because they symbolize the struggles waged by the people on the planet and they represent the values of culture, justice, peace and solidarity. HAVANA, Cuba, Oct 14 (acn)Ecuador and Cuba will sign new cooperation agreements to strengthen the integral health attention system being promoted by the Ecuadorian government, said the chief fo the Cuban medical contingent in Quito Jorge Jimenez. The Cuban doctor told PL news agency that the Ecuadorian Health Ministry is interested in hiring the services of 15 Cuban epidemiologists and 69 physical therapists, while that country's Social Security Ministry asked for the support of another 43 specialists in the field of primary health attention, electro-medicine and pharmaceutical service advisors. The upcoming arrival in Ecuador of one thousand Cuban medical specialists following a request by Ecuadorian President Rafael Correa is another project to be implemented. The doctors will help put in practice the Family Doctor system in the South American nation. In the meantime, dozens of Ecuadorian students are taking medical courses on the island to later help their communities. Doctor Jimenez recalled that Cuban medical collaboration with Ecuador began in 2006 with the implementation of the Operation Miracle free-eye-surgery program in the cities fo Latacunga, Ballenita and Machala, where 41 Cuban doctors have administered over 140 thousand operations on cataracts and other eye conditions. Bilateral collaboration between Havana and Quito also includes the training in Cuban hospitals of Ecuadorian doctors in different medical specialties. Havana, Oct 14 (Prensa Latina) The next vote at the United Nations of a project demanding the US to lift the blockade that has kept for more than half a century against Cuba, is preceded by numerous expressions of support of the international community. Presidential summits, United Nations Commission on Human Rights and the UN General Assembly have been one of the places where the world's public opinion has condemned the blockade to the island. The 21st Summit of the African Union, held last May in Addis Abeba demanded the lifting of the commercial, financial and economic blockade against Cuba. Organizations like Europe-Third World Centre, the International Association of Democratic Lawyers and the American Association of Jurists also issued a joint declaration condemning the blockade. Earlier this year, during the presentation of Cuba in the universal periodic review mechanism of the Human Rights Council, 22 delegations criticized the blockade and considered it an obstacle to the realization of human rights in the Caribbean nation. The Fifth Summit of Heads of State and/or Government of the Association of Caribbean States, held in Haiti, demanded to end the isolation of one of its member states. Meanwhile the First Summit of the Community of Latin American and Caribbean States (CELAC ) meeting in Chile earlier this year, issued a special statement condemning the policy of siege to the island. On paragraph 6 of the Declaration of Santiago , issued by the first summit CELAC - EU rejects the unilateral coercive measures, that go against international rights and the extraterritorial provisions of Washington against states, entities and individuals related to Havana. That project became a resolution last year, with 188 countries in favor. Only The United States, Israel and Palau declared themselves against it, while Micronesia and Marshall Islands abstained. The Group of 77 and China, the Non-Aligned Movement, the CELAC, the Caribbean Community, the Organization of the Islamic Conference, the African Group and MERCOSUR, along with other 17 delegations declared themselves to be in favor of the resolution presented by Cuba. Moscow, Oct 12 (Prensa Latina) The Moscow branch of the Russian Veterans Association of the October Crisis of 1962 today urged U.S. veterans to demand the release of four Cuban antiterrorist fighters unjustly convicted in that country. In a message addressed to William Zain, chief commander of the organization of Veterans of Foreign Wars of the United States, the Russian internationalists demanded the release of Ramón Labañino, Fernando Gonzalez, Antonio Guerrero and Gerardo Hernandez. The text indicates that these antiterrorists were arrested 15 years ago for monitoring the groups planning violent actions against their country, organized in the United States. The document explains that Rene Gonzalez is already in Cuba after 13 years in prison, another period of supervised release and having renounced to U.S. citizenship, requirement of the judge in charge of the case. The message notes that the Five, as they are known worldwide, warned of various sabotage plans and attacks, benefiting even the United States, whose leaders call themselves authorities in the fight against terrorism. Paradoxically, adds the text delivered to Prensa Latina, a Miami court convicted these true heroes to absurd sentences of imprisonment from 15 years to double life imprisonment plus 15 years. Muscovites veterans warn that the case is complicated because the U.S. leaders put pressure on the media to silence everything related to this case as well as other issues related to Cuba such as the economic, commercial and financial blockade. By contrast, emphasizes the text, in the United States enjoy full freedom and get government protection well/known criminals such as Luis Posada Carriles, major responsible for blowing a Cuban airliner with 73 passengers on board in October 6, 1976. Muscovites fighters mobilized to Cuba in 1962 when a U.S. military invasion seemed imminent, emphasized that their claim has the support of colleagues from other regions of the Federation. They are members of veterans organizations in the province of Moscow, Risia, Arkhangelsk, Bryansk, Vladimir, Volgograd, Voronezh, Ekaterinburg, Irkutsk, Kazan, Kaliningrad, Mordova; Nizhegorod, Penza, Rostov, Ryazan, Samara, Saratov, St. Petersburg, Smolensk, Khakassia and Yaroslavl. In the document signed by Major General Mikhail Makaruk, head of the Moscow branch, and secretary, Guiorgui Petrov, it is noted that a copy was also sent to the U.S. ambassador to Russia, Michael McFaul. Havana, Oct 13 (Prensa Latina) An Indian Cultural Festival will be held in Cuba from October 24 to November 4, the first large-scale-festival in a Latin American country. According to Indian ambassador here, C. Rajasekhar, the festival will strengthen ties between both countries, which have been cordial for years. The festival will coincide with the visit of a government delegation to the Asian country, led by Indian Vice President Hamid Ansari and several members of the cabinet and parliament, said the diplomat. "We want to show the Cuban public the colorful splendor of various manifestations such as visual arts, film, dance and cuisine," said Rajasekhar. The show Nrityarupa, a mosaic of Indian dance, will open the inaugural gala at the Teatro Mella in Havana on October 29, the same venue will host the function the next day and then, on October 31 will be exhibit at the Teatro Milanes, of the western Pinar del Rio province. Besides folk and classical dances, literature will also have a special place because Indian poets, playwrights and novelists will travel to Havana to hold exchanges, conferences, workshops and reading sessions. Meanwhile, Alba Cultural House in this capital will host from October 28 to November 5 a joint exhibition of painters Narendar Reddy, Sanjiv Nath and Cubans Zaida del Rio and Ernesto García Peña. The prolific Indian film will also focus the attention of the event: the capital Charles Chaplin cinema will screen several successful films such as Ek tha tiger, partially filmed in Havana, and Parineeta, among other titles. Gastronomy and the practice of yoga, two of the great benefits of this ancient culture, will also convene in Cuba prestigious chefs and yogis of India to show what they do best: some, yummy dishes and the others, meditation sessions. Abelardo Moreno, deputy foreign minister, released a document entitled "Necessity of ending the economic, commercial and financial embargo imposed by the United States of America against Cuba" that will be under discussion at the United Nations on October 29th. The report was presented at the William Soler Pediatric Cardiology Center, where the national and foreign press learnt of the economic damage that the illegal policy continues to cause Cuban people, which has now reached a staggering one trillion 157 billion 327 million dollars, taking into account the depreciation of the dollar against gold. Business transactions, academic exchanges, the long list of drugs denied to Cuba, the failure to grant visas for sporting events, and the damage to foreign trade are some of the restrictions that are hurting Cuba according to the report presented by Moreno. This resolution has been presented by Cuba to the General Assembly of the United Nations for the last 21 years, and has received the overwhelming support of the vast majority of the member countries each time. La Paz , Oct 7 (Prensa Latina) Tributes to the Argentine-Cuban guerrilla Ernesto Che Guevara begin today in the eastern department of Santa Cruz, and will run until Wednesday, October 9, on the occasion of the 46th anniversary of his death in La Higuera. A film series began yesterday in memory of Guevara, who led a guerrilla group in the eastern region of the country from 1966 to 1967, seeking an end to the oligarchic governments that ruled Bolivia. The film "El coraje del pueblo" (The Courage of the People), by filmmaker laureate George Sanjines, opened the series, which also includes another film by the same director, "Insurgentes" (Insurgents), while "Nicaragua, patria libre o morir" (Nicaragua, Homeland Free or Die), will be shown tomorrow. The film "Fidel, la historia no contada" (Fidel, The Untold Story) will be also screened tomorrow, and "Che, un hombre Nuevo" (Che, A New Man) will be shown on Oct. 9, marking 46 years since the murder of Guevara. Tomorrow's activities on occasion of Guevara's death will include a tour of places linked to the guerrilla team he led in the area of Vallegrande, including the sites where several members of his column were buried. Latin American ambassadors, and Che's younger brother, Juan Martin Guevara de la Serna, who is on his second visit to the country this year, will participate in the marches. The central activity in memory of Che's death will be held in a small mausoleum built next the Vallegrande airstrip, where his remains were hidden for 30 years before being unearthed and taken to the Cuban city of Santa Clara. Another event will be held in La Higuera on Wednesday, October 9, to whose school the guerrilla fighter was taken after being imprisoned in Quebrada del Yuro, and where he was killed that day in 1967. Che was born in the Argentinean city of Rosario on June 14, 1928. After completing his medical studies he joined the Granma Yacht expedition departing Mexico that, led by Fidel Castro, was planned to free Cuba from the Fulgencio Batista dictatorship. Guevara arrived in Cuba as the physician of the emerging guerrilla force, but his additional merits soon became clear and he was promoted to commander and column chief. When the war ended on January 1, 1959, he was in the central city of Santa Clara, where he had led invading troops. HAVANA, Cuba, Oct 7 (acn) The vice-president of the Cuban Parliament Ana Mari Machado is heading the island's delegation to the Inter-parliamentary Union Assembly, underway in Geneva, which will focus on crucial issues such as nuclear disarmament. The forum, running until Wednesday, is being attended by 1,200 participants, including 600 legislators frm 129 countries of the world. This is a significant moment for the Interparliamentary Union to pave the way for an increasing peaceful world, said the president of that organization, Abdelwahad Radi. A document submitted by Cuba to the forum alerts on the threat posed on humanity by the possible use of the nuclear weapons that exist in the world today. The struggle for the prohibition and total elimination of nuclear weapons must constitute a priority for the Inter-parliamentary Union, because it is the only way to prevent the disappearance of human species, the Cuban document explains. Some 19,000 atomic bombs exist on the planet, with 2,000 of them ready to be used. The Parliamentary Union was set up in 1889 and it is made up of 163 countries. HAVANA, Cuba, Oct 4 (acn) Cuban voluntary health workers presently offer their services in 70 municipalities of Angola, informed Angolan Health Minister José Van-Dunem within the framework of the International Fair of Luanda (FIL), the Prensa Latina news agency reported from the Angolan capital. Van-Dunem pointed out that her Ministry placed Cuban teams in those 70 territories, composed of one physician, one specialist in statistics, and one in infirmary in mother-child care. He explained that these teams support local measures to solve priority public health problems, by way of vaccination campaigns, comprehensive attention of mothers and children, deliveries without risk, prevention and the treatment of endemic and non-transmissible diseases. Last year, the governmental representative acknowledged the quality of Cuba’s medical staff, the cooperation of which is a fundamental element, very much appreciated by his country’s authorities. Geneva, Oct 7 (Prensa Latina) Cuban Parliament’s Vice President Ana Maria Mari Machado, leads his country’s delegation to the 129 Assembly of the Inter Parlamentarian Union (IPU), started here today and which have among its main issues the nuclear disarmament. The event will run until Wednesday and it attended by around 1,200 participants, including 600 lawmakers from 129 countries. "It is truly a time for IPU to help build the foundations of a more peaceful world ever," said the president of the organization, Abdelwahad Radi. A document submitted by Cuba to the meeting warns the existence of nuclear weapons and the threat of its use is one of the greatest dangers facing humanity. The struggle for its elimination and the permanent ban must be one of the IPUÂ’s priorities, because that is the only way to avoid the disappearance of the human species, says the text. Currently there are about 19,000 nuclear weapons, 2,000 of them ready to be used immediately, and just a fraction is used to trigger a nuclear winter. The document also warns that the considerable resources devoted to modernize these stocks could be used to address the most pressing problems of mankind, such as hunger, poverty and insecurity. The Cuban delegation to this event is also integrated by Yolanda Ferrer, president of the International Relations Committee of the National Assembly of People’s Power (Parliament) and Yoerky Sanchez, Deputy president of the Commission of Care to Children, Youth and Equal Rights of Women. The event will also inspect other issues such as the prohibition of chemical weapons and their destruction, sustainable development, natural disasters and the protection of children’s rights, mainly migrants and those in conflict zones. Created in 1889, the IPU is formed by 163 countries, with new movements in the organization, which incorporated Bhutan and Somalia, while Egypt was suspended after the dissolution of its Parliament. HAVANA, Cuba, Oct 2 (acn) UN Secretary General Ban ki-moon and Cuban Foreign Minister Bruno Rodriguez addressed in New York the role of Cuba as temporary president of the Community of Latin American and Caribbean States, CELAC. During the talks, which took place in the context of the 68 Session of the UN General Assembly, Ban and Rodriguez also addressed issues of regional interest. The Millennium Development Goals, the development agenda to be implemented by the international community after 2015 and the impact by climate change on the Caribbean were also at the center of the talks. Ban took the opportunity to acknowledge Cuba’s supportive role as host to the Colombian peace talks. HAVANA, Cuba, Oct 2 (acn) Serious limitations imposed by the US Blockade of Cuba on the Island’s public health system are evident in the Pediatric Cardiocenter William Soler, in Havana, one of the most reputed hemispheric institutions dealing with the treatment of heart complaints in children and adolescents. Due to US interference, doctor Herminia Palenzuela, Head of the Quality Programme of the Institution reports, the Cardiocenter is unable to acquire Nitric gas, manufactured in the United States. This gas is indispensable for the treatment of crisis in pulmonary hypertension resulting from cardiotoraccic surgery, a very serious problem that may lead to the death of the patient, she said. There exist alternative ways of dealing with pulmonary hypertension, said the Cuban medical specialist, but the most effective is nitric acid. Its direct application to the lung immediately leads to the increase in its breathing capacity, thus releasing pressure and guaranteeing the swift improvement of the patient’s condition. Lamentably, the US blockade prevents Cuba’s access to that product. Another limitation imposed on Cuba’s capacity to treat its children with cardiovascular complaints is the nation’s inability to purchase US-manufactured nitrous oxide, a most efficient product that guarantees an immediate improvement in the small patient’s capacity to breath. This product cannot be shipped by air and must be transported by ship adopting special measures. But US manufacturers refuse to sell it to Cuba because of the Washington-imposed blockade. Another product banned to Cuba is the anesthetic Servofluorane, the best such product for children’s cardiovascular surgery. But it may not be purchased by Cuba. The real losers are children who must be operated on and are deprived of the best anesthesia, because it is of American manufacture and the US Government, in fact, conspires against the right of those children to lead healthy lives, just because they are Cubans. HAVANA, Cuba, Oct 1 (acn) Cuba affirmed its position at the United Nations Education, Science and Culture Organization (UNESCO)about the need to prevent a foreign aggression on Syria in order to keep peace, which is the most urgent priority for the International Community. Cuban representative at the UNESCO executive council, Juan Antonio Fernandez said expressed his country’s firm support of initiatives aimed at finding a peaceful solution for Syria, based on full respect of that country’s sovereignty and independence. According to PL news agency, the Cuban diplomat also denounced the scandalous espionage by the United States which has been met with a tsunami of criticism at the world level. In this regards, Fernandez expressed his country’s support of the initiative proposed by Brazil, which invited the executive council and UNESCO to address the situation related to privacy and Internet ethics. HAVANA, Cuba, Oct 2 (acn) More than 300 thousand adult Angolans have learned to read and write through an educational method developed by Cuba, named Yes, I can, which has been succesfully applied in at least 30 nations in the world. The development of the Cuban educational programme by that African nation’s Government was enthusiastically supported by several Angolan institutions, including the Angolan Women’s Federation and church groups. The massive introduction of education has proven to be a major weapon in the successful Angolan struggle against poverty, hunger and disease. Over six million illiterates in the world have benefited from the Cuban educational programme “Yes I can”, enthusiastically endorsed by the United Nations Educational, Scientific and Cultural Organization, UNESCO, which assigned it its prestigious “King Sejong Literacy Promotion Award in 2006. HAVANA, Cuba, Oct 3 (acn) Cuban First Vice-president Miguel Diaz-Canel acknowledged the spiritualist community in Cuba for its commitment and Support of the people, the Revolution and the cause of the five Cuban anti-terrorists, who were arrested in 1998 in the United States. During a meeting with representatives of the religious community, Diaz-Canel said that amidst the ongoing process of economic transformations in Cuba it is crucial to focus on the spirituality, sentiments, emotions and ideas of the people. “If we are able to strengthen our economy and we assume the results of this process with culture, knowledge, decency, without vanity and selfishness, and in a supportive manner, then we will be defending our society, our ideals; we all agreed to these issues,” said Diaz-Canel who affirmed the government and Communist Party’s trust in Cuban spiritualists as he underscored their struggle for unity. The Cuban first-vice president called on the religious community to keep defending its identity, based on historic roots, and without allowing the import of foreign formulas in order to guarantee its own autonomy. He alerted that the Barack Obama administration has allocated millions of dollars to finance over 113 subversive programs against several sectors of Cuban society, including the religious community, in an effort to break the unity of Cubans and their Revolution. The spiritualist community currently counts on over 550 societies in Cuba who freely carry out their activities with the support of local authorities. Members of the community expressed their gratefulness for the meeting and explained about their work in the benefit of human beings and society. They also supported the call issued by Cuban President Raul Castro to keep educating the Cuban people. The meeting was also attended by the head of the Cuban Communist Party Religious Affairs Office, Caridad Diego and other party officials. United Nations, Oct 2 (Prensa Latina) Speaking at the UN General Assembly, leaders from more than 40 countries and all five continents urged an end to the U.S. blockade of Cuba, describing it as genocidal, illegal, and a Cold War relic. During the seven days of the 68th session of the General Assembly, the call to end the economic, commercial, and financial blockade imposed more than 50 years ago was expressed from the United Nations podium by presidents, prime ministers, and foreign ministers alike. Just like last year, the issue of Washington's blockade against the island was among the topics most mentioned by the leaders during the plenary session for the 193 U.N. member countries. Yesterday, during the last day of discussion, Nicaragua, Saint Lucia, Granada, Suriname, Barbados, Syria, and Guinea joined the demand previously expressed here by representatives from Latin America, the Caribbean, Africa, Asia, Oceania, and Europe. For Bolivian President Evo Morales, the blockade against Cuba is the "worst genocide," while Mauricio Funes, president of El Salvador, Ghana's John Mahama, and Trinidad and Tobago's Kamla Persad-Bissessar, called it a relic of the past. In turn, the Prime Minister of Saint Vincent and the Grenadines, Ralph Gonsalves, described the White House siege as a kind of "myopic revenge," which has caused millions in losses and severe social harm, for its impact in sectors such as health and education. For his part, Gambian President Hadji Yahya Jammeh called Washington's measures inhumane, unjust, and flagrant, and warned that they lack any sort of justification. During the general discussion, participants considered the U.S. blockade on Cuba to be a strong obstacle to the country's development, as well as a violation of international law. HAVANA, Cuba, Oct 3 (acn) Cuban officials with the Supreme Court, the Attorney General’s Office and the Interior Ministry addressed new regulations relevant to the Cuban Penal Code and the authority of the courts of justice. During the prime-time TV Show “The Round Table Discussion,” the officials explained that the initiative strengthen state policy in tune with the economic and social transformations underway in the country. The vice-president of the People’s Supreme Court, Oscar Manuel Silvera, said that a new decree law reinforces the authority of municipal courts of justice to deal with crimes that imply up to 8-year prison terms, formerly up to 3 years imprisonment. The regulations aimed at taking justice closer to the sites where crimes take place and to the individuals involved, which favors legal decisions, said Silvera who added that the measures pursue the preservation of security and the improvement of the quality of the judicial service, while the right to justice is more effective. The changes in the Penal Code include the imposition of administrative fines, as long as the crime committed reveals low risk levels, while the sanction to be imposed for such crime does not exceed three years of imprisonment or a fine of up to one thousand-installment pay. This would always require the approval of the prosecution. Colonel Felix Yanes, second chief of the General Criminal Investigations and Operations Department with the Interior Ministry, said that the new regulations favor case-to-case work with those subjected to up to three-year sanctions. Such work is in tune with the humanitarian principles promoted by the Cuban Revolution. Santiago de Cuba, Oct 2 (Prensa Latina)Union members from the Dominican Republic participating in a binational seminar on health and safety in the workplace demanded the return of four Cubans who have been imprisoned in the United States for over 15 years. Juan Andrés Balbi, general secretary of the National Union of Heavy Equipment Operators, said the committees of solidarity with the Cuban Five are active and are expressing their demands through demonstrations in the streets and outside the U.S. embassy. Balbi said that the U.S. justice system had meted out disrespectful and inconsiderate treatment to Gerardo Hernandez, Antonio Guerrero, Ramón Labañino, Fernando Gonzalez and Rene Gonzalez, the latter back in Cuba after serving his sentence. Balbi also joined the applause of those attending the forum, who condemned the political aberration resulting from the arrest in Miami of these Cubans who were trying to prevent violent actions against their country. Brasilia, Oct 2 (Prensa Latina) A new group of 250 Cuban health professionals arrived in this capital today to provide services through the Brazilian public health system, as part of the "More Doctors" program. They are part of the second contingent of Cuban doctors who will work in the rural areas of this country with low Human Development Index figures, as well as on the outskirts of the metropolitan regions. "We came here to support and offer our knowledge to the Brazilian people," Dr. Roxana Garcia, 42, said at the Brasilia's International Airport. The experts were received by a group of citizens showing support for their work and thanking them for their solidarity with Brazil's needy. Another 532 physicians from 11 countries will also join in this second phase of this health program. They were responding to a call made by Brazilian President Dilma Rousseff, to ensure healthcare for all citizens of this nation. Presented by the president in July, the "More Doctors" program will feature services provided by 4,000 Cuban doctors, in response to an agreement signed between the Ministry of Health of Brazil and the Pan American Health Organization. Pretoria, Oct 2 (Prensa Latina) A standing ovation was the response to a 95-minute documentary titled Fidel, The Untold Story, which marked tonight the opening of the 9th Festival of Latin America and the Caribbean Cinema in South Africa, with a large public. The historical narrative passages filled with images and exclusive interviews, made by director Estela Bravo, summarizes with good sense the trajectory of the leader of the Cuban Revolution, Fidel Castro. Ambassador and diplomats, including the head of the delegation of Venezuela, Mairin Moreno, and Carlos Sersale di Cerisano, of Argentina, filled the Lier theater of the University of Pretoria. Others in the audience included high-ranking South African officials such as Faith Mazibuko, Minister of Community Safety of Gauteng province, who will lead a delegation traveling to Havana on Saturday. The documentary Fidel, The Untold Story, was presented by the Cuban ambassador to South Africa, Carlos Fernandez de Cossio, who welcomed the interest shown by many people in attending the screening. Washington, Oct 1 (Prensa Latina) Cuban emigre organizations that are part of the coalition Alianza Martiana announced that a caravan against terrorism will drive through the main streets of the city of Miami on Saturday. Participants will demand the release of four of the Cuban Five who remain in U.S. prisons: Gerardo Hernandez, Ramon Labañino, Antonio Guerrero and Fernando Gonzalez, according to a press release from the National Committee to Free the Cuban Five. Caravan participants also will demand the prosecution of real terrorist organizations of right-wing extremist Cuban-Americans who are freely walking the streets of Miami. The caravan is one of a number of activities taking place from September 5 to October 6 in solidarity with the cause of the Cuban Five, the 15th year since their wrongful arrest and imprisonment. Panama City, Oct 2 (Prensa Latina) The 9th World Council Meeting of the José Martí International Solidarity Project will be held in 2014 in Portugal, according to Héctor Hernández Pardo, its executive coordinator, in opening remarks at the 8th Meeting in Panama today. Participating in the meeting are members of the World Council from Cuba, Brazil, Mexico, Panama, Costa Rica, Ecuador, Puerto Rico, Dominican Republic and Portugal. Professor Miguel Angel Candanedo, secretary general of the University of Panama, said that tomorrow workshops and presentations would take place in two faculties at that university and two others, and at the Ciudad del Saber (City of Knowledge), benefiting from the presence of well-known international academics such as Brazilian Frei Betto. Guillermo Castro, a local academic, said that the Marti Project has an enormous value, because "Marti is more present now than ever, his vision transcends history as a process of human improvement through the practice of the utility of virtue." Mexican Mario Alberto Najera said that José Martí studies departments have existed since the 1990s, and have multiplied now with the objective of opening a space for reflection, and they are becoming a forum for studying the most advanced ideas. Zayda Castro, executive director of a Marti Studies Department in Venezuela, said that the delegation from her country wanted others to know what Venezuela is doing about Marti's ideas and its intimate links with that territory. "Cuba's national hero is resurging again in Venezuela following the revolutionary process led by Commander Hugo Chavez and his political ideas can no longer be hidden from the people," she said. Havana, Oct 1 (Prensa Latina) The Director General of the International Atomic Energy Agency (IAEA), Yukiya Amano, highlighted Cuba''s role in a keynote speech delivered here, emphasizing its wide range of peaceful applications of nuclear science and technology, with an emphasis on human health. During yesterday's speech entitled "IAEA's work: Atoms for Peace," delivered at the University of Havana's main lecture hall, Amano said that Cuba has been an active member of the organization since it was founded in Vienna in 1957, and is a major contributor to technical cooperation programs, with its experts in many fields sharing their knowledge and experience with other countries. Amano talked about his positive impression in regard to the variety of available services and the dedication of Cuban staff, after visiting several medical and research centers in Havana. He added that thanks to IAEA collaboration with Cuba, the National Institute of Cardiology and Cardiovascular Surgery was able to improve its imaging facilities in order to provide patients better diagnoses and treatment. The agency works closely with the National Institute of Oncology and Radiobiology in the diagnosis and treatment of cancer, as well as research activities. It is also involved in the production of essential radiopharmaceutical products and the creation of a center for environmental studies in the central province of Cienfuegos, to monitor marine and coastal pollution. Havana, Oct 1 (Prensa Latina) Cuban cultural institutions lost $ 12.7 million last year due to the U.S. economic, commercial and financial blockade against Cuba. A report published by the Ministry of Culture says that the blockade prevents Cuban artists from engaging in normal exchange with U.S. artistic circles. In 2012 the U.S. company Paypal restricted the bank account of a Spanish platform for funding Cuban cultural projects, claiming that it failed to comply with Cuba-related regulations of the Office of Foreign Assets Control, the Ministry of Culture report said. That same year, the Cuban Music Institute sponsored performances in the United States of 365 musicians and technicians, who did not receive travel allowances to cover their expenses and were forbidden to market their presentations, due to the blockade's provisions. The Cuban film industry was also prevented from direct access to the use of technology developed by the U.S. company Dolby. Meanwhile, given the control exerted by U.S. capital, the Cuban audiovisual production company RTV Comercial cannot promote its products in the U.S. market or others in the region. The Cuban government annually presents to the UN a report against the blockade imposed for more than 50 years with the aim of harming the Cuban economy. Traditionally, this document has been approved by the vast majority of UN members, and last year 188 nations voted to lift the blockade, which was opposed by only three countries, with two abstaining. Havana is now preparing a report on these and other incidents to submit shortly to the UN General Assembly. HAVANA, Cuba, Sep 30 (acn) Ecuadorian President Rafael Correa announced a strategy to improve his country’s healthcare system with the hiring of one thousand Cuban doctors, given the lack of physicians in the South American nation. We need family doctors, so we will hire Cuban physicians, said Correa in his radio and TV weekend sow, aired from the province of Guayas, PL news agency reported from the capital Quito. The strategy, to be implemented till 2017, includes the construction of one thousand 582 healthcare centers outfitted with all necessary resources, plus 163 general hospital and 24 specialized medical institutions. All those facilities will require some 18 thousand 675 health professionals, half of whom must be doctors. Correa said that Ecuadorian youths are currently taking medical courses in Cuba, though they will take some years to graduate, so in the meanwhile the Cuban doctors will be hired. He said that the best example for the Ecuadorian health project to follow is Cuba, which has one of the most comprehensive health systems of the world. HAVANA, Cuba, Sep 30 (acn) US Reverend Jesse Jackson called for actions against the economic, financial and commercial blockade which the governments of his country have maintained against Cuba for over 50 years now, and he also stressed the need to strengthen relations between the US and the Cuban people. During a religious ceremony at the Havana-based Ebenezer Baptist Church, Reverend Jackson said that the blockade affects the life of the Cuban people and hinders relations between the two nations. The US Reverend said that the Church must fight against the blockade, PL news agency reported on Sunday. The sanctions posed by Washington against Cuba affect the use of the Internet on the island, telephone calls and transportation, among other consequences for the Cuban and the US people, he said. During the religious ceremony, organized by the Cuban Council of Churches, participants recalled previous visits by the outstanding civil rights activist to Cuba in 1984 and 1988. Reverend Jackson recalled his meetings with Cuban Revolution leader Fidel Castro. HAVANA, Cuba, Sep 30 (acn) The general director of the International Atomic Energy Agency (IAEA) Yukiya Amano is on an official visit to Cuba till October 1, which is in tune with the excellent relations between the island and the world energy organization. Cuba is a founding member of the IAEA with a currently active participation particularly in technical cooperation projects in the field of health, agriculture and the environment, PL news reported on Sunday. The IAEA has acknowledged, in several occasions, the highly skillful Cuban specialists and the contributions by Havana to boost cooperation projects linked to the peaceful use of nuclear energy. As a member of the IAEA, Cuba is currently promoting urgent negotiations to reach an International Convention on Nuclear Disarmament. In this regard, the island supports the setting up of concrete timetable for the total elimination and prohibition of Nuclear Weapons. Cuba opposes all nuclear tests, both of real explosive nature or computer-based experiments and other sophisticated technologies. Cuba honors the Tlatelolco Treaty, on the prohibition of nuclear weapons in Latin America and the Caribbean, as well as the Non-Proliferation Treaty. The Cuban government maintains a Safeguarding Accord with the IAEA, along with an additional protocol on the subject. HAVANA, Cuba, Sep 27 (acn) Safeguarding the Revolutionary project continues to be the utmost mission of the Committees for the Defense of the Revolution (CDR), stressed the delegates to the 8th Congress of the largest Cuban grassroots organization, underway at Havana's Conventions Center in the presence of President Raul Castro. The forum is being attended by 460 CDR members from all Cuban provinces, who are working on actions to improve the performance of the organization and support proposals aim at making the structure and functions of the CDRs more efficient and effective. Delegates stressed the need to get the youths more involved in addressing the necessities prevailing in their areas of residence and communities and involve them in fighting illegalities. They also called for joint work in support of the implementation of the social and economic guidelines adopted by the Communist party. The Congress of the over-eight-million-member organization will conclude on Saturday after adopting the main report and working guidelines for the upcoming years. Leaders of Latin American, African and Asian countries demanded at the United Nations General Assembly the lifting of the over-50-year US economic, commercial and financial blockade of Cuba. During the session prime ministers and heads of state described the US blockade as policy of genocide, illegal, failed, a relic of the Cold War period, anachronistic and obstacle to development, among other terms. Representing Latin America, the leaders of Bolivia, Antigua and Barbuda, Uruguay, El Salvador, Guyana, Trinidad-tobago demanded the end of the US siege which has inflicted huge damage on all Cuban economic and social sectors, particularly health and education. Meanwhile, the representatives of South Africa, Namibia, Ghana, Chad, Mozambique and Gabon, and for Asia, the leaders of Sri Lanka and East Timor also called for the end of the US blocakde at the plenary session attended by 193 states, the overwhelming majority of which have repeatedly voted a Cuban resolution since 1992 demanding the lifting of the Usś anti-Cuba measure. In his remarks at the forum, Bolivian President Evo Morales criticized the US administration for ignoring the claim by the international community against the US blockade of the island. HAVANA, Cuba, Sep 27 (acn) Cuba will noticeably increase the salaries and bonuses to athletes, trainers and other sports specialists, as a policy pproved by the Council of Ministers. According to Granma newspaper, the new policy will get in force in January 2014, though in the case of Baseball it will start with the opening of the National Series in November 2013. The new measure aims at improving the performance of Cuban sports, generating income sources, increasing the quality and rigor in competitions, gradually increasing salaries and guaranteeing that each one receives a salary according to his or her work. High-performance athletes, who devote all their time to practicing a sports modality, will get their salaries according to their results, the newspaper explains and adds that in the case of athletes who get contracts abroad, they will be guaranteed their participation in major competitions on the island. The new policy maintains monthly payments to athletes in hard currency or Cuban convertible pesos as it has been done so far. This payment is received by athletes, trainers either active or retired in return for the medals they have won, while other payments in the Cuban national currency, the Peso, will also be included. This way the pay will be based on the socialist principle establishing that “from each one according to his or her capabilities, to each one according to his or her work,” which will be expressed at the moment of obtaining competition results, as approved by the 6th Congress of the Cuban Communist Party. The newspaper also explains that when an athlete is no longer active, her or she will receive an additional pay as acknowledgement, which will be considered for the calculation of his social security fund. Along with this Cuba will implement a annual system of contracts in the country accredited by the National Federation of each sports, thus replacing a system of leaves thus far in force. The policy approved by the Cuban Council of Ministers establishes six sports categories according to the performance of athletes, which constitute the basis to set the basic monthly payments in national currency for high-performance athletes. HAVANA, Cuba, Sep 24 (acn) The Cuban Council of Ministers, headed by President Raul Castro, adopted several measures and policies to keep implementing the economic and social guidelines approved by the Sixth Congress of the Cuban Communist Party. The first measure aims at updating the national medication supply program for the population with major productive capacity and more stable supply at drugstores and health care centers. This measure establishes the inclusion, in the general lists of medications, of those known as natural and traditional medicines. With this regards, the Council of Ministers indicated the update of a program aimed at further developing natural medicine. President Raul Castro said that private producers and cooperatives can make an important contribution to the production of medicinal herbs, which are important for the prevention and cure of many diseases. The meeting also agreed to repair and build a larger number of centers for the elderly and nursing homes between 2013 and 2015 given the growing aging of the Cuban population. The Council of Ministers also approved a third group of non-agriculture cooperatives made up of 73 entities dedicated to gastronomic services, recreation, construction, transportation and manufacture. The final results of the 2012 Population and Housing Census were released during the meeting. Such results will be publishes soon, according to the Cuban television. Another proposal approved was a project to reduce a large number of posts included in the budgeted areas of the Ministry of Construction, in order to achieve higher efficiency. Kingston, Sep 23 (Prensa Latina) Cuban Jose Ramon Balaguer, who is member of the Secretariat of the Central Committee of the Cuba’s Communist Party (PCC in Spanish) described as excellent the bilateral relations between his country and Jamaica and called for Latin American and Caribbean unity. Speaking at the 57th annual conference of the ruling People's National Party held here, Balaguer appreciated the solidarity of the Jamaican government and people. He stressed the importance of the integration process that is developed in the region and driven by organizations such as the Caribbean Community (CARICOM) and the Union of South American Nations (UNASUR). As part of his activities, Balaguer was received by the Jamaican Prime Minister, Portia Simpson-Miller, and visited the Chest Hospital’s eye clinic in the capital, and the Jose Marti Polytechnic School, in the city of Spanish Town. In his meeting with Simpson-Miller, Balaguer thanked the Jamaican solidarity with the Cuban people, including support in the fight against the U.S blockade on Cuba that has been kept for more than half a century. Meanwhile, Simpson-Miller thanked Cuban cooperation in various fields in Jamaica, especially in health care and sports. HAVANA, Cuba, Sep 24 (acn) The Community of Latin American and Caribbean States, CELAC, presented at the United Nations General Assembly its commitment to include the persons with disabilities in global development programs and strategies. During a high-level meeting on the subject, Cuban deputy foreign minister Abelardo Moreno presented the position of the Community, a 33-member states bloc currently being chaired by Cuba. “We are convinced that full social inclusion of persons with disabilities requires the renewed commitment by governments and societies, as a crucial condition to achieve equitable, democratic and multi-cultural societies,” the CELAC document reads. According to the document, 12 percent of the population of Latin America and the Caribbean area faces some kind of disabilities, which stands for about 66 million people, most of whom are part of the most vulnerable population sectors. The high-level UN General Assembly meeting aims at committing the international community to promote and implement social inclusion of persons with disabilities in the framework of global development after 2015, the deadline set in 2000 to materialize the UN Millennium Development Goals. Over one billion people in the world face some kind of disability, according to the United Nations. Geneva, Sep 23 (Prensa Latina) The Bolivarian Alliance for the Peoples of our America (ALBA) condemned here today the violations against human rights committed by Israel on Palestine and the negative of Tel Aviv to comply with UN recommendations. When speaking before the 24th ordinary session of the UN Council of Human Rights, the delegation of Ecuador, in representation of the ALBA member countries, defended the claim of the Palestinian people to build an independent state and reivindicated the need of a peaceful solution to the conflict in the Middle East. The declaration condemns the settlements in occupied territorios, the crimes against the civil population, as well as the extrajudicial murders. On his part, Cuban representative Juan Antonio Quintanilla denounced that Israel continues to violate international humanitarian law that could end in its physical elimination. In his statement before the Council, Quintanilla warned also about the denial of Israel to cooperate with the Universal Periodic Review, which adds to its long and persistent history of non-compliance with its most elementary international duties. A similar warning was made by the representative of Venezuela, when condemning the total disregard of Tel Aviv to recommendations of the UN Council of Human Rights. Venezuela claimed the need for Israel to put an end to the occupation of Palestinian territories, as well as those of the Syrian Golan and return to the frontiers of 1967. Havana, Sep 23 (Prensa Latina) General Comptroller of the Republic of Cuba , Gladys Bejerano, opened today the 8th International Course of Prevention and Control Tools in confronting administrative corruption with the attendance of representatives from nine countries. Among participants, there are the General Comptroller of Bolivia, Gabriel Herbas, the member of the Accounting Chamber of the Dominican Republic, Alfredo Cruz and representatives of Chile, Colombia, El Salvador, Guatemala, Panama, Venezuela and Cuba. Bejerano made a comprehensive speech on the Cuban experience in that field, explained the system of control of the State and the Government, as well as the role of the Comptroller as auxiliary organ of the People’s Power National Assembly (parliament). She highlighted that the Cuban Election Law is one of the strengths of the fight against corruption and a show of democracy in which the population proposes its candidates and decides in the election of delegates. The most frequent contraventions in administrative control are associated to limitations and non-compliance in the introduction of components of internal control. We are in a new stage in which economic information, statistics, accounting is a tool of direction, she said. The General Comptroller introduces a group of actions so that administrations of enterprises learn how to apply self control and promote measures in that direction. Havana, Sep 23 (Prensa Latina) Cuban food industry has annually lost about $45 billion USD for the impossibility of accessing to bank financing, due to the U.S. economic, commercial, and financial blockade imposed by the United States for more than 50 years. According to data provided by the Cuban food import company, ALIMPORT, the sector has suffered additional losses estimated at more than $20 million USD, for failing to perform transactions in the U.S. currency. The sector has also lost another $10 million USD, due to the transfers originated on the island involving several banks to reach their destination, while the damages for the cost of freights has exceeded $28 million USD last year. Let’s take into account that ships carrying cargo between Cuba and the United States should return to the northern port without any merchandise, increasing the costs. On the other hand, the import and export of fishery products, Caribex, denounced the impossibility of locating Cuban products in the U.S. market, so they have to pay high tariffs and transportation prices to place their goods in more distant destinations. Cuba presents a report to the UN against the blockade every year since 1992. This document has been historically approved by most of the member countries of this organization. Cienfuegos, Cuba, Sep 23 (Prensa Latina) With the design of an integrated sewage management system at the Antonio Sanchez sugar complex in south-central Cienfuegos, Cuba is working on decreasing pollution at the Cienaga de Zapata (Zapata Swamp), the largest wetland in the Caribbean islands. Engineer Ernesto Martinez, manager of the industrial plant at the Cienfuegos Sugar Company, told Prensa Latina that the environment is the great beneficiary of a strategy designed for an industry whose plantations frequently border the swampy areas located in the neighboring province of Matanzas to the west. Located in the central town of Covadonga, the sugar mill is part of a large production complex, consisting of the only distillery in Cuba for refined spirits, along with additional factories that produce rum and "torula," a kind of feed meant to fatten pigs. In the case of "vinazo," one of the derivatives sourcing from the production of alcohol and "torula," one solution is to send the polluting potential to cane growers via tanker-trucks, in order to be poured on plantations as a fertilizer. Such technological innovation does not exclude the traditional fertilization-irrigation (by gravity) of sugar-cane plantations with some of those industrial wastes, Martinez said. The introduction of pig feed, aligned with the economic policy guidelines adopted at the 6th Congress of the Communist Party of Cuba held in 2011, which allow for the expansion of the social purpose of such companies, constitutes an added value to the production at the Antonio Sanchez complex, some 200 kilometers southeast of Havana. HAVANA, Cuba, July 28 (acn) Venezuela’s President Nicolas Maduro said the meeting he held in Havana with Cuban Revolution leader Fidel Castro was historic. During the meeting, Maduro presented Fidel with a painting made by Bolivarian leader Hugo Chavez during his days in hospital, in the Cuban capital. He also gave Fidel a book by author Ignacio Ramonet containing an interview granted by Chavez to the French writer. Fidel and Nicolas recalled chapters of the Cuban revolutionary struggle and the assault on the Moncada garrison in particular, and they also recalled Hugo Chavez and his colossal work aimed at Latin American unity, which was the dream of The Liberator Simon Bolivar. The Venezuelan president and the Cuban leader exchanged views on current challenges facing the region and the world, such as food security, the preservation of peace and climate change. Fidel expressed concern about the threat posed by climate change on humanity and he alerted that the ocean level could increase by 70 centimeters in just few years, bringing with it serious consequences. Fidel Castro handed over to Maduro a letter addressed to all heads of state and government that assisted to national commemorations for the 60th anniversary of the attacks on the Moncada and Carlos Manuel de Cespedes Garrison. HAVANA, Cuba, July 28 (acn) Cuban Revolution leader Fidel Castro sent a letter to the heads of the delegations that attended July 26 commemorations in Cuba, in which he recalled passages of the attacks on the Moncada and he pays homage to Bolivarian leader Hugo Chavez. In his letter, published July 28 by Cuban television, Fidel Castro said he would not be able to attend the national ceremony, held in Santiago de Cuba to mark the historic date, because he had to abide by his doctors’ suggestions. However he said he could recall moments and transmit ideas. Fidel said that the July 26, 1953 action undoubtedly was a courageous demonstration of the people’s capacity to undertake any task from the very beginning. He said the 160 men, who were selected to carry out the action were picked out of 1200 young combatants from Havana and western Pinar del Rio province. After recalling specific moments of the attack on the Moncada garrison, Fidel Castro said that some recently tried to slander the Cuban Revolution by alleging that the Cuban president had deceived the United Nations and other heads of state with a double-standard behavior. Fidel says he is not hesitant in assuring that for years the Cuban government refused to sign accords on the prohibition of nuclear weapons because they did not agree with granting such prerogative to any state; however, he said Cuba would never try to build a nuclear weapon. The Cuban leader stressed Cuba’s position against all nuclear weapons. He noted that no nation, either big or small, should have such extermination instrument, which could wipe out human existence from the planet. He added that at present, it is not only nuclear weapons but also climate change constitutes the most imminent danger that could make human existence impossible on the Earth in less than a century from now. HAVANA, Cuba, July 28 (acn) Miguel Diaz-Canel First Vice-president of Cuba’s Councils of State and Ministers and Foreign Minister Bruno Rodriguez paid tribute on Sunday to Bolivarian leader Hugo Chavez on the 59th anniversary of his birth. The two top government Cuban officials laid a wreath at the Venezuelan embassy in Havana, which opened its doors to all those who wished to pay homage to the Bolivarian president. Sports figures and personalities in the world of culture as well as citizens from all walks of life paid tribute to Hugo Chavez at the diplomatic mission. Cubans came in with poems, drawings, songs, flowers and letters as an expression of affection towards the man that led the social transformation process in Venezuela. Venezuelan ambassador Edgardo Ramirez expressed his gratefulness to the Cuban people for their expressions of affection towards Chavez and he announced the setting up by president Nicolas Maduro of a center of study on Chavez’s ideas in Barinas, his hometown. HAVANA, Cuba, July 27 (acn) The Venezuelan embassy in Havana will open its doors on July 28 to all those citizens that wish to join the tribute to be paid to Bolivarian leader Hugo Chavez on the 59th anniversary of his birth, said ambassador Edgar Ramirez while announcing the activities for the occasion. Ramirez said that all those who want to bring a flower, a poem, a painting to pay tribute to Comandante Chavez will be welcomed at the diplomatic mission. The Venezuelan embassy along several Cuban institutions are sponsoring a series of activities until August 4th to mark Chavez's birthday and the 230th anniversary of the birth of Simon Bolivar on July 24. The agenda includes the opening at Havana's Revolution Square of a visual arts exhibit dedicated to Hugo Chavez, a cultural and political ceremony at the Simon Bolivar Museum in Old Havana and tributes at the Bolivar Square. Havana, July 27 (RHC) Ecuador's foreign minister Ricardo Patiño toured a housing project in eastern Santiago de Cuba, that includes the construction of over 1 thousand homes by the Ecuadorian army's engineering forces. The action is a sample of the international support received by the eastern Cuban territory after the ravaging passage last October of hurricane Sandy. The Ecuadorian foreign minister said that they came to reciprocate for the large support given by the Cuban Revolution to the Ecuadorian people. He added that the construction effort is part of a project for bilateral collaboration between the two sister nations. The Ecuadorian initiative includes the donation of 1600 home roofing tiles and the rehabilitation of facilities at the Santiago de Cuba Medical University, where Ecuadorian youths are taking their courses. The top government Ecuadorian official headed his country's delegation to national celebrations in Santiago on July 26 for the 60th anniversary of the attacks on the Moncada and Carlos Manuel de Cespedes garrisons. HAVANA, Cuba, July 27 (acn) Over 50 political and social organizations in Mexico called a march on Saturday up to the US embassy in the city capital to demand the lifting of the US economic, commercial and financial blockade of Cuba. The demonstration will also mark the 60th anniversary of the attacks on the Moncada Garrison, which Cubans commemorated on July 26 with a national ceremony in eastern Santiago de Cuba in the presence of several Latin American and Caribbean leaders. “We will again take to the streets to express our affection and admiration for the Cuban people and give them our solidarity, since the Caribbean nation has been under permanent US aggression over fifty years of economic blockade,” the call to the demonstration pointed out. The protest march will demand the lifting of the blockade and the release of the anti-terrorist Cubans held in US prisons since 1998. SANTIAGO, Cuba, July 30 (acn) The Cuban people paid homage on Tuesday to the martyrs of the Cuban Revolution by laying wreaths in different historic sites in eastern Santiago de Cuba city. Revolutionary veterans Parmenia Suarez and Francis Velasquez laid wreaths on behalf of the Cuban people at the place where July 26 movement leader Frank Pais and his compatriot Raul Pujol were murdered on July 30, 1957 by henchmen of the Batista dictatorship. Similar homage was paid at the Martyrs' Square, scenario of meetings of heroic youths, where 20 students and workers received their membership cards of the Young Communist League. In statements to the Cuban News Agency, Luis Zamora, an Optometry and Optics student, stressed the pride felt by today's youths in following up on the ideas of those who gave their lives a day like today for the defense of their homeland. Vet Manuel Mateo, who fought at the orders of Frank Pais, stressed the personal values of the 23-year-old revolutionary and his skills as a leader, which made him the organizer of the militias with the July 26 revolutionary movement to fight the bloody Fulgencio Batista dictatorship. Santiago citizens paid tribute at Frank Pais at his former home, now a museum in the eastern city, and in all work centers named after martyrs of the Revolution. A march will take place from downtown Santiago up to the Santa Ifigenia cemetery on Tuesday afternoon to recall the funeral of Frank Pais and also to pay homage to all revolutionaries killed in action during the revolutionary struggle. At the cemetery, the people will lay wreaths at the tombs treasuring the remains of the martyrs. HAVANA, Cuba, July 30 (acn) Socialism in Cuba advances towards its consolidation, while the island will prevail as example of solidarity, said the vice-president of Cuba's Councils of State and Ministers Jose Ramon Machado Ventura in Ecuador. During a meeting with Cuban health workers in the sister Latin American nation, Machado addressed the most recent developments related to July 26 commemorations on the island. The leaders who spoke at the national ceremony for July 26 stressed Cuba?s countless gestures of solidarity with the rest of the countries of the region and the world. He said that economic transformations underway on the island are on their way to consolidation and with it favor the strengthening of the Revolution and the socialist project. Cuba needs to develop sustainable socialism, Machado Ventura stressed. The top government Cuban official praised the work of Cuban collaborators in Ecuador, who constitute an example of solidarity and support through regional organizations, such as the Bolivarian Alliance for the Peoples of the Americas. The Cuban vice-president traveled to Guayaquil on Monday to take part at the 12th Summit of the regional integration bloc, which is made up of Venezuela, Cuba, Bolivia, Nicaragua, Dominica, Ecuador, Saint Vincent and the Grenadines, Antigua and Barbuda and Saint Lucia. HAVANA, Cuba, July 30 (acn)The Summit of heads of state and government of the countries making up the Bolivarian Alliance for the Peoples of our America (ALBA), underway in the Ecuadorian city of Guayaquil, is focusing on the bloc's foreign policy in an effort to expand the integration of nations. In a communique issued on Tuesday, the Ecuadorian Foreign Ministry announced the presentation at the summit of issues related to what was described as inclusive and participatory integration; based on respect for human dignity, economic development and the right of nations to self-determination, their defense of sovereignty, according to a report by PL news agency. The expansion of the bloc's currency SUCRE, a regional and unitary compensation monetary system, the Comon Fund of Reserves and the strengthening of social programs are among the major topics on the Ecuadorian agenda for the summit. The ALBA leaders are meeting at the Milton Colon hotel Tuesday morning, and they will continue their debates at the Voltaire Paladines Polose Coliseum in the afternoon, where they will share with members of social organizations. The Guayaquil summit gathers the heads of state and governments and representatives of Venezuela, Cuba, Bolivia, Nicaragua, Dominica, Ecuador, Saint Vincent and the Grenadines, Antigua and Barbuda, and Saint Lucia. Meanwhile, Uruguay, Argentina, Brazil, Surinam, Guayana and Haiti are guests to the meeting. HAVANA, Cuba, July 29 (acn) Uruguay’s President Jose Mujica briefed his country’s Council of Ministers about his visit to Cuba and he stressed his meetings with head of state Raul Castro and Revolution leader Fidel Castro. President Mujica and foreign minister Luis Almagro reported on their visit to Cuba to attend July 26 celebrations. In his report, Mujica said he intends to increase the exchange with Cuban in some areas and added that over the past few years, Cuba maintained intense collaboration with Uruguay. The head of state referred to the signing of a document to expand scientific and technical cooperation with Cuba. According to the Uruguayan Communication’s Department, Cuba needs to enrich expertise on milk production and Uruguay can offer advice in that field. At present, Uruguay counts on over 400 doctors graduated in Cuba, while a group of new 40 physicians return after graduation to offer their services in Uruguay. HAVANA, Cuba, July 30 (acn) The activists with the 24th US Pastors for Peace Friendship Caravan to Cuba visited the central province of Sancti Spritus, where they reiterated their unyielding position against the US blockade of Cuba. Daniel Sanchez, a 32-year-old US activist with the group told the Cuban News Agency that the island's reality is quite far from what is being said about Cuba in the United States. He stressed the hospitality and warmth of the people. The caravan previously visited Santiago de Cuba, where the activists attended July 26 national commemorations and they will now kick off their trip to the capital Havana. The group was welcomed in Sancti Spiritus by the director of the Guayabera shirt museum, Carlo Figueroa, who briefed the visitors about the local cultural promotion center. He said the place treasures over 150 Bera shirts donated by different personalities, including one that belonged to Pastors for Peace founder, Reverend Lucius Walker. The caravan includes activists from the United States, Canada, Mexico and Germany. The humanitarian project is organized every year by the US Inter-religious Foundation for Community Organization (IFCO) and Pastors for Peace in open defiance of the US economic blockade of Cuba. HAVANA, Cuba, July 29 (acn) The Cuban Ministry of Foreign Affairs denounced on Monday that Washington has reinforced its economic blockade of the island this year by using its Office of Foreign Assets Control (OFAC) as a spearhead. According to the Foreign Ministry, on June 28 the OFAC forced Italy’s Intesa Sanpaolo S.P.A Bank, one of the most prominent financial institutions in that European country, to pay a fine of up to two million 949 thousand 030 dollars. According to an OFAC investigation the bank carried out 54 money transfers in favor of Cuba between 2004 and 2008. The Cuban government says that the extraterritorial enforcement of that sanction reveals the shamelessness of the United States in dealing with its European partners and sets a negative precedent for other institutions that maintain commercial relations with Cuba. And if that were not enough, adds the Foreign Ministry, on July 22 OFAC also fined another entity for breaching the blockade of Cuba with five million 226 thousand 120 dollars, which is the largest sum reported this year. The victim was American Express Travel Related Services Company, one of the main US tour operators. This has been the second fine imposed by OFAC in less than a month and the fifth such measure this year, the Foreign Ministry explains in an official release posted on its website. OFAC announcedthe latest sanction following a detailed investigation that reflects the US obsession of preventing American citizens from freely traveling to Cuba, at all costs. According to the US office, foreign subsidiaries of American Express and its branch offices overseas allegedly sold 14 thousand 487 air tickets to travel to Cuba from third countries out of the limited people-to-people exchange license that the company is allowed to process. With these sanctions, the US administration once again makes concessions to the detractors of a policy change towards Cuba, by turning a deaf ear on the large claim to lift the Cuba travel ban, the Cuban Foreign Ministry points out. 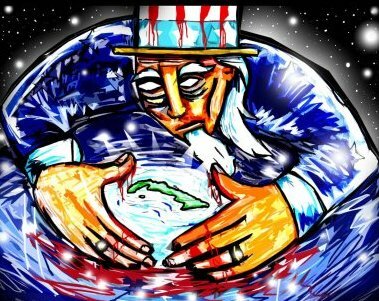 At the same time, the US government reinforces the extraterritorial enforcement of its blockade of Cuba by imposing fines on foreign and US companies for their operations in third countries. The main objective of the criminal and inhumane US policy continues to be that of inflicting damage and suffering on the Cuban people, the official release concludes. HAVANA, Cuba, July 29 (acn) Guyana’s Health Minister Bheri Ramsaran thanked Cuba for its assistance in training doctors, who will contribute to improve the quality of life of the Guyanese people. Guyana’s official GINA news agency reported that during a meeting with a group of Guyanese youths, who recently graduated from Cuban universities, Ramsaran stressed that bilateral collaboration with Havana will have an important impact on the improvement of his country’s health services. “We want to welcome you and let you know that those who came before you have made a good job,” the minister told the new graduates. Hundreds of Guayanese professionals graduated from Cuban higher education centers over the past few years, GINA news agency reported. HAVANA, Cuba, July 29 (acn) The first life-size statue of Cuban National Hero Jose Marti to have been set up in Germany was unveiled Monday in Berlin to commemorate the 60th anniversary of the 1953 attacks on the Moncada and Carlos Manuel de Cespedes garrisons. The work, which was made by Cuban artist Felix Madrigal, was set up on a park in the Berlin municipality of Pankow to mark the 160th anniversary of Marti’s birth. First secretary at the Cuban embassy in Germany, Daciel Alfonso, stressed the historic value entailed by a work like this, which will be a meeting point for Cubans and Latin Americans and he thanked local authorities for having the statue at the park. The statue was unveiled by Cuban ambassador Raul Becerra, who was accompanied by Chistine Kiel from the Pankow’s mayor office and the president of the Association of Cuban residents in Berlin Jose Conde.